Ginger is an herb with therapeutic qualities that is used as a spice. One of the benefits of ginger is that it contains the minerals chromium, magnesium, and zinc, which can help maintain normal blood circulation, as well as help avoid chills, fever, and excessive sweat. Ginger is an herb with therapeutic qualities that is used as a spice. This underground stem (rhizome) can be used fresh, powdered, dried, or as oil or juice. 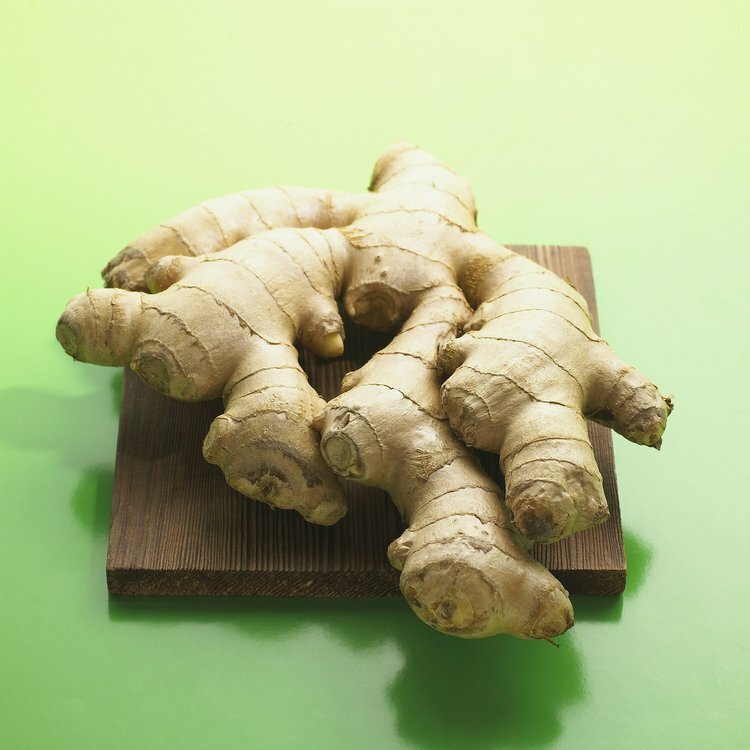 Ginger is part of the family Zingiberaceae, along with cardamom, turmeric, and galangal. Ginger is native to southern China, but has spread all over the world to other parts of Asia, West Africa, and the Caribbean during the spice trade. This popular spice possesses medicinal value and has significant health benefits. One of the benefits of ginger is that it contains the minerals chromium, magnesium, and zinc, which can help maintain normal blood circulation, as well as help avoid chills, fever, and excessive sweat. Also, the increased levels of magnesium help the blood vessels to relax, bringing about a faster and restful sleep in individuals. Also, ginger can help fight and even prevent the common cold. Ginger has been used for thousands of years as a natural treatment in Asia. It helps the body by soothing a scratchy throat since it contains certain compounds, called sesquiterpenes, which target viruses that cause the common cold. For individuals with the flu, ginger acts a natural painkiller, fever reducer, and a mild tranquilizer to help individuals rest easier. Ginger can contribute to improving the immune system by inhibiting fatty deposit formation on the arteries. Ginger also decreases bacterial infections in the stomach and helps battle severe coughing (by suppressing them) and throat irritation. A study published in the American Family Physician showed that pregnant women might benefit from ginger consumption because it can fight morning sickness. Ginger has demonstrated a success rate of 75% in curing morning sickness and stomach flu. Studies have shown no fetal risk being linked to the use of ginger during pregnancy. Individuals who travel and are in vehicles (car or boat) for extended periods of time may want to try ginger root to address their motion sickness. Ginger is a known and effective remedy for the nausea associated with motion sickness. Researchers are still investigating the reason behind this association. Ginger has been known to help soothe discomfort of the stomach. This root is ideal for improving food absorption and avoiding possible stomachaches. Ginger appears to reduce inflammation, similar to aspirin and ibuprofen. Food uptake and stimulation of essential nutrients is critical to the body. It does this by stimulating stomach and pancreatic enzyme secretions. A study at the University of Minnesota found that ginger may slow the growth of colon cancer cells. Ginger has also proved to be significant for ovarian cancer treatment, as ginger powder induces cell death in ovarian cancer cells. Thus, adding ginger to tea with lemon can have a powerful effect on one’s cold. It can also help treat morning nausea in pregnant women. The wide-ranging benefits of ginger make it a smart and natural way to treat many common illnesses without the use of medications like ibuprofen or aspirin. Ernst, E., & Pittler, M. H. (2000). Efficacy of ginger for nausea and vomiting: a systematic review of randomized clinical trials. British journal of anaesthesia,84(3), 367-371. Galland, L. (2010). Diet and inflammation. Nutrition in Clinical Practice, 25(6), 634-640.Khanna, D., Sethi, G., Ahn, K. S., Pandey, M. K., Kunnumakkara, A. B., Sung, B., ... & Aggarwal, B. B. (2007). Natural products as a gold mine for arthritis treatment. Current Opinion in Pharmacology, 7(3), 344-351. Quinla, J. D., & Hill, D. A. (2003). Nausea and vomiting of pregnancy.American family physician, 68(1), 121-128. Shimoda, H., Shan, S. J., Tanaka, J., Seki, A., Seo, J. W., Kasajima, N., ... & Murakami, N. (2010). Anti-inflammatory properties of red ginger (Zingiber officinale var. Rubra) extract and suppression of nitric oxide production by its constituents. Journal of medicinal food, 13(1), 156-162. Prakash, J. (2010). Chemical composition and antioxidant properties of ginger root (Zingiber officinale). Journal of Medicinal Plants Research, 4(24), 2674-2679. Zhang, G. F., Yang, Z. B., Wang, Y., Yang, W. R., Jiang, S. Z., & Gai, G. S. (2009). Effects of ginger root (Zingiber officinale) processed to different particle sizes on growth performance, antioxidant status, and serum metabolites of broiler chickens. Poultry science, 88(10), 2159-2166. Gur, S., Turgut-Balik, D., & Gur, N. (2006). Antimicrobial activities and some fatty acids of turmeric, ginger root and linseed used in the treatment of infectious diseases. World Journal of Agricultural Sciences, 2(4), 439-442. Vutyavanich, T., Kraisarin, T., & Ruangsri, R. A. (2001). Ginger for nausea and vomiting in pregnancy: randomized, double‐masked, placebo‐controlled trial. Obstetrics & Gynecology, 97(4), 577-582. Borrelli, F., Capasso, R., Aviello, G., Pittler, M. H., & Izzo, A. A. (2005). Effectiveness and safety of ginger in the treatment of pregnancy-induced nausea and vomiting. Obstetrics & gynecology, 105(4), 849-856.